we're justly proud of them! 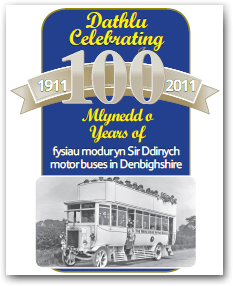 In November 2010, the Vale of Clwyd Bus Project won the Bus in the Countryside Award at the prestigious UK Bus Awards in London. There was stiff competition from four other competitors: the Hadrian's Wall bus service; Norfolk Flexi demand responsive bus service; Stagecoach in Devon's rural bus network; and Stagecoach in Cumbria's campaign in the Lake District. 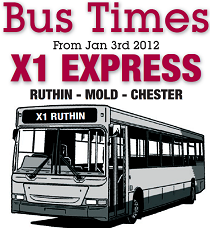 The award for the Vale of Clwyd reflects the changes to the X50/X52 since 2009, the innovative Fflecsi service and improvements to the X1/1/1A/2. Before the award, "Mystery shoppers" tested the service and here we must pay tribute to the X50 & X52 drivers for their courtesy & punctually. One reason for the X50/X52's success was the growth in passengers - up 100% during its first year! 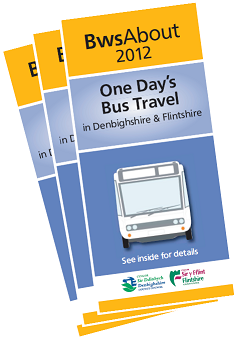 In April 2010, the Vale of Clwyd Bus Project won an award at the Welsh National Transport Awards in Cardiff.